So i have a new 16 450SX-F witch is a BEAST of a bike, and i think a little to much for tight single trail, open trail it's a blast, i also have a 250sx two stroke that my dad rides and i sometimes ride. 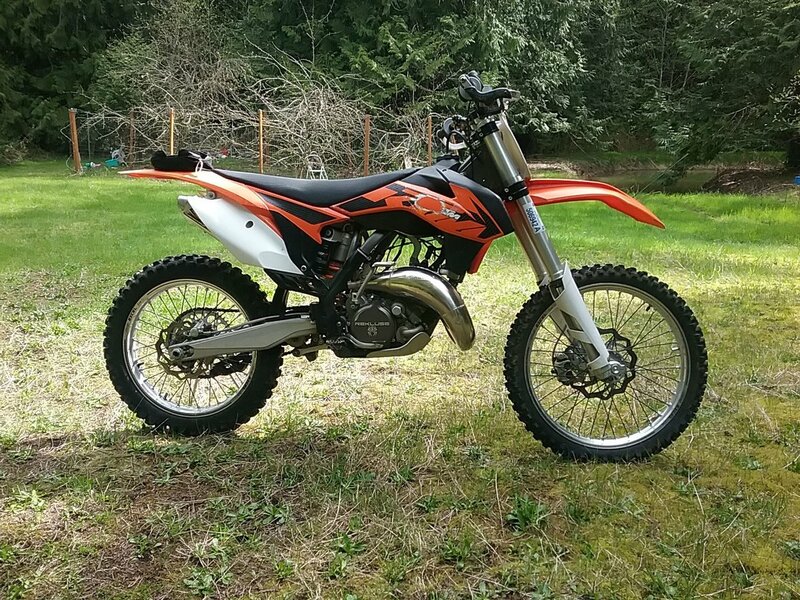 my question is this, I've been eyeing up a 150sx/xc for a while now and really love the little bike, I with my BIG BIRTHA 450 i can't rev it out, by 4th gear pinned in the woods i'm already in WARP SPEED back to 1876. and again my two stroke is ridden by the ol man. I want something that is flowy in the single trail. something that isn't extremely powerful, i like revving bikes out so it was either get another 250sxf or a small bore two stroke. I Any time i do ride the 250sxf i like it alot, it's a fun bike to play around with but it's limited in terms of it's age. I've seen some guys on smaller sized 2 strokes really rippin in the trail and honestly are faster then us on the big bore bikes. I can do anything to two strokes so maintaining them isn't a problem. I'd probably buy a sx 150 as xcs are hard to come by and they run a bit more expensive. If i did buy a 150 i'd do the normal woods guy thing and armor it up and maybe put a bigger tank on it. I'm 250lbs in gear 5 10 so there is another problem with the 150 being maybe a bit small? I don't know, all i know is i want a smaller bike that i can rev and i can throw around and the 150sx seems in my radar, plus. Guys are selling them for a good price so it's not a big hit if i buy one and decide to sell it again. give me your thoughts and suggestions. Not looking to blow 10 grand on something new. also i'm not interested in the 300's at all. I want something small and flickable. I'm 6'2" and 250 lbs. Way outside the operating range of a 125. I just got one in March. Used ones in good condition are really hard to find unless they're very late model. The 125 has enough power to pull you around. I would set you expectation that monster hill climbs will be very hard if not horrible and racing folks down logging roads will end up with you losing. If you are OK with that then you likely will like the 125 I mean 150. Yea that's the big trade off right, Thats what my 450 is great for! 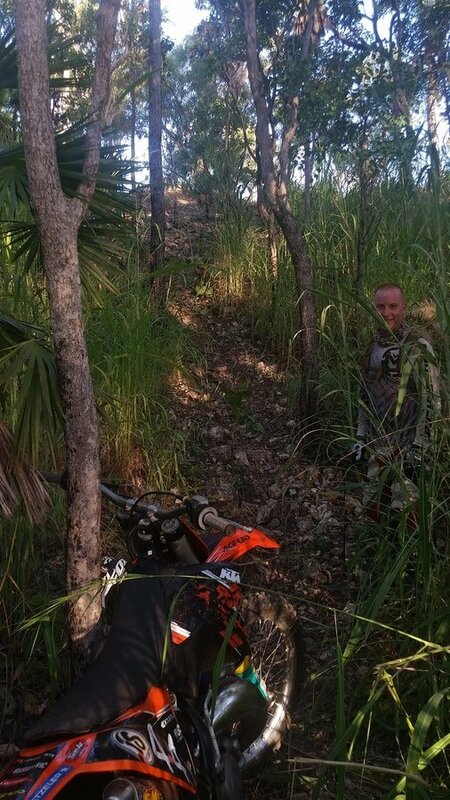 i think a 125 or 150 in the tight trail would work great. I hate lugging bikes so something like a 150 that's high revving would be sweet. and i do some hill climbs but not much. I have a big 450 (*ahem 500) too. I don't expect either bike to try and mimic the other. Just know which one does what and pick it based on the day's ride plan. The 125 requires input, revving, clutching, planning, etc. It's not that hard to ride - pretty fun really. I can imagine the KTM 150 is even more fun because it has more power and torque than a tired old Japanese 125 MX. Just to verify, you meant Trails, not Trials? 150SX will fit your needs perfectly. Edit: A 150XC would be even better. Perfect actually. I wish I had one. My local area has slow turn around on parts to I run two bikes. I initially bought my 150 for track riding only and racing. It has been pulling double shifts on the singe track and hilly areas as well. It makes an excellent trail bike. cornering is sublime and front end feel amazing. With better jetting its a very useable engine that delivers more and more power the more you rev it. Off the line it keeps up with my mates Husky TE250. The downside is that it is BMX stiff at both ends. If you stay aggressive and try and jump everything it works very well. If you keep the power on it works very well. Ride like a wuss and it will paddle you. Literally. The upside is, the great feel when cornering, and those forks hold up to things that would make my OCs go CLUNK. This bike is fast, faster than my other one which is 50cc bigger. I cant ride it to its potential track or trail. 150SX will fit your needs perfectly. yea like i said i have a 07250sxf just sitting doing nothing, i wanna sell it and get something small that i can really control and use, it wouldn't be my main bike, more so of a fun smile maker bike. Where i ride there are tight single trail that are bar to bar in some areas. taking a big bore 450 through that isn't easy and the fun level goes way down. the 450 is great for when i have all my buddies out and in a ground we all do hill climbs and big open trail, it's really amazing, but on those off days where it's rainy out and not many people around, i think a 150 geared for me would make a gloomy day bright ! oh you have a 09? I was looking at 13--14 bikes as they have linkage and i think a overall good 150 set up, Though a older model would be good none the less. It is the most rewarding bike I have ever ridden. Yea, you just added another reason why i need to get myself a 150! Mine is an 09. They say a link works better for a wider range of conditions. Maybe that's true because this PDS works well at speed and on the track. But it doesnt seem to like slow high shaft speed impacts. I've experimented a little with the shock adjustments and it helps, but it also makes it very mushy at the back. I think I'd rather go back to the BMX feel. Interestingly, my EXC PDS does not exhibit the same symptoms. Maybe a racetech progressive needle would calm the highspeed compression damping down a bit and reduce kicking. Staying on the gas hard works too. I'm 6'-2" and 215 without gear. My 2017 150 XC-W seems to do anything I ask of it. If I was a much more aggressive rider, it would likely be fine too. It's light and fast and nimble. Thanks dude! I've always liked the 150's just never tried them. Sometimes the smaller bikes are king! Currious to why you don't just ride the 250f? Seems like the perfect bike for what you want. 2013 ktm 150sx. Rekluse 3.0 core, Lectron carb, flywheel weight, re-valved suspension, skid plate, hand guards, spark arrestor ,FMF pipe,13-52 gearing and just a slight bit of motor work. I raced it last year in the in our local enduro series. Won the 200 B class and was the overall B class winner. 200+ lbs without gear so about 220 or so geared up. I've put over 200+ hours on the 150 in the last year and a half with no mechanical issues either. So my question to you, are you man enough to ride a small bore.